The souk in Bahrain has much to offer. There are many things you can purchase at this market region of Bahrain. While it isn’t anything like the Cairo’s or Istanbul’s bazaars, there is still a multitude of items to be had here at fantastic prices. Because money is so scarce here, you will find that many of the items are for sale at unheard of prices. The price of gold here in the Bahrains souk is cheap, and you could easily resell the gold for twice the amount you purchased it for if you venture to the United Kingdom. The Old Bahraini architecture makes looking around make you feel like you are in some sort of ghost town, but don’t let that fool you. The shopkeepers and people selling goods usually make a nice profit, making for trouble free purchasing and easy going relaxation. Three souks make up the available market products. Purchase herbs, spices, cloth, gold, jewelry, fruits, vegetables, and more! The central market allows you to purchase the fruits, herbs, nuts, vegetables, and spices. 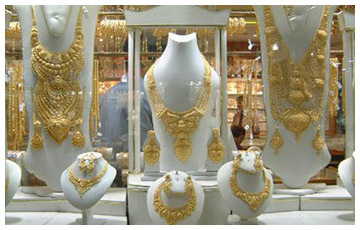 The gold souk, acclaimed and individual from the areas selling the consumable goods, usually carries 21 karat gold that comes with a hallmark of authenticity. Custom gold pieces can be created at your request, with most of the gold smiths being extremely talented and well versed in their occupation of choice. If you own any clothing you really like, and want a replica made from expensive cloths, you can simply produce your clothing and they will make you a replica for a fantastic price. Choose from silk, cotton, wool, and more. The tailors at the Souk put a lot of care and effort into their work to ensure they turn out a quality product. If you do visit the souk, bring as much money as you can with you, especially if you are from the U.S.A. You will find that the prices are much lower when compared to American prices. You could easily plan a shopping spree here and get two to three times what you would in the states. Although most of the shops are owned by the same people, it will seem like they’re not. This doesn’t mean you won’t get a great deal, it simply means that the business sector of the souks are controlled by the strong business community that watches over them. The gold souk is what a great many people come to see, but the other areas of the market place shouldn’t be disregarded by any means. Truly, a visit to the souk can have you leaving with enough material goods at rock bottom prices to fill a ship. Imagine, getting back home with enough storable spices and clothing to make the trip more than worth the price of the plane fair. If there is one thing the Bahrain souk can do for you, it’s give you a better deal than you could ever find in the United States of America.